The medieval Púbol Castle was, during the 1970s, the residence of Dali’s wife and in the early 1980s his own. 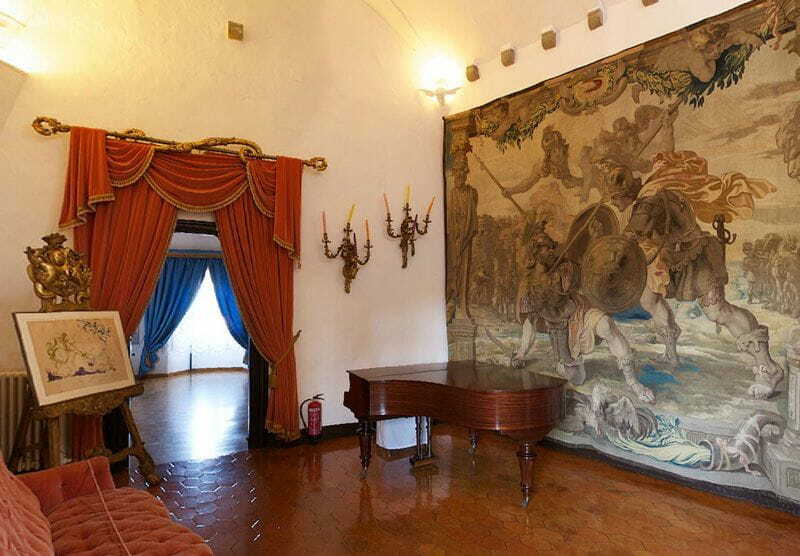 Inside are paintings and drawings Dalí gave Gala to adorn the castle, elephant sculptures Dalí installed in the garden, and a collection of Gala’s haute couture dresses, as well as the furniture and innumerable objects Gala and Dalí used to decorate the castle. The rest of the year, group visits by appointment.